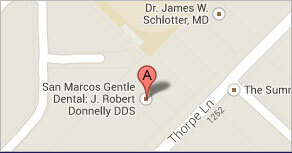 At San Marcos Gentle Dental, we believe that our patients deserve only the very best when it comes to dental technology. That’s why we have equipped our state-of-the-art dental office with the latest in technological advancements in the dental industry, giving our patients the clear advantage in oral healthcare. Dr. J. Robert Donnelly and Dr. Gregory Wang invite you to enjoy the innumerable benefits afforded by our top-of-the-line dental technology. Digital radiography allows our team to capture clearer, more accurate images than traditional x-rays. In addition, digital x-rays expose patients to up to 80 percent less radiation, and they’re better for the environment. 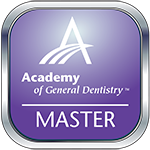 The digital images of your teeth and jaw can be easily stored and shared as needed. For most patients, the thought of the dental drill is one that elicits instant feelings of fear and anxiety. Fortunately, our office uses the Whisper Jet decay removal system, a type of technology that allows us to treat cavities without any needles or drills. In many cases, no anesthesia is required. Also known as Cone Beam CT imaging, 3D digital x-rays are particularly useful in the planning of dental implant placement and orthodontic treatment. Because of its unique composition, this precision equipment uses approximately 10 times less radiation as compared to conventional medical CT scanning devices. DIAGNOdent laser cavity detection allows us to find and treat tooth decay before it becomes visible to the naked eye. The pen-like laser checks the health of the tooth for any signs of cavities, even those that are located between teeth. 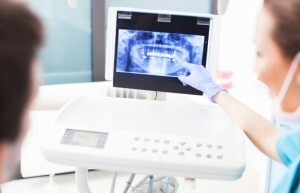 Other vital technologies that we employ at San Marcos Gentle Dental include CAD/CAM imaging, The Wand anesthesia delivery, Cavitron ultrasonic scaling, chairside monitors and satellite radio, intra-oral cameras, and more. Allow us to show you what a difference our technology can make in your next dental experience. Contact us today to speak with a member of our friendly, knowledgeable staff and to schedule your next visit with our team. Our San Marcos, TX dental office proudly serves patients from nearby communities in Austin, New Braunfels, Kyle, Wimberley, Buda, and beyond.